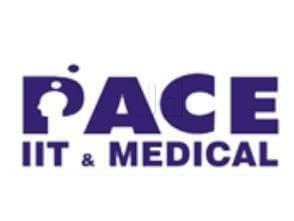 PACE IIT and Medical is a coaching institute aimed at high school students. Established in the year 1999, it has quickly grown into a leading name and is expanded into Study Abroad coaching in addition to engineering and medical exam coaching. They also have a unique and innovative library system where the faculty members remain available for doubt solving and individual teaching. PACE IIT and Medical offers the following courses for students. One year and two-year courses, as well as the crash course for class 12 students, are available for JEE Main and Advanced exams. The subjects covered are Physics, Maths, and Chemistry. 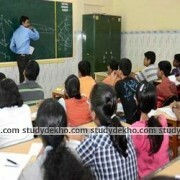 One year and two-year courses for NEETpreparation are offered for medical aspirants. The subjects covered in this course are Physics, Chemistry, and Biology. SAT + TOEFL, as well as ACT + TOEFL courses, are available for those who want to study abroad. Courses to build the foundation of younger students are available. These courses are offered for class 6 to class 9 in order to build their skills in Maths and Science. The students should choose their course, branch, and institute based on their needs, requirements, and convenience. To sum it up, PACE IIT and Medical is a suitable choice for those preparing for engineering and pre-medical entrance exams.